My ancestral DNA confirmed what I already knew: “family” is the most important thing. That’s what my Dad used to say when we’d ask about our family’s background. Of course, this would produce eye-rolling from my Mom (the only non-Italian in the house) and giggles from my sisters and me. But it turns out he was right. Well, kinda. Stay with me here. I grew up believing that Italian was synonymous with family. My Dad would often recite his father’s favorite saying: “Family is the most important thing.” No matter what, he said, we should always value and cultivate our relationships. Life is about people, not things. Always be there for family and have each other’s backs. Even my Mother understood this. Growing up in her Irish/German household, my Mom and her family had an abundance of love and caring that far outweighed their few material possessions. That sense of belonging and connection is just as evident today as it was back then. 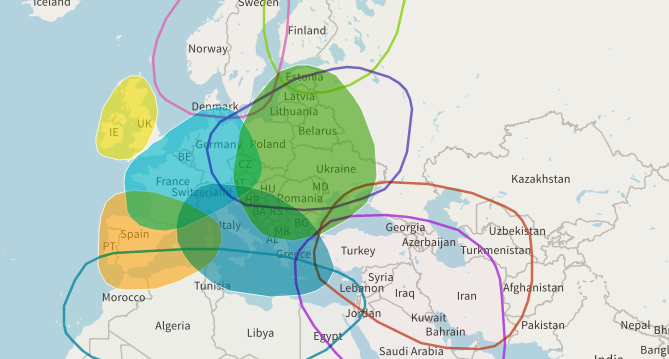 So much so, in fact, that I was curious about how Italian I really was, and decided to have my ancestral DNA analyzed. For the uninitiated, companies like Ancestry.com offer a peek into your heritage, providing estimates of the regions and countries from which you and your ancestors hail. It’s amazing what a small sample of saliva can reveal. For instance, I was not surprised to learn that my largest percentage (23%) was from the Italy/Greece region. After all, my Dad is Sicilian. But what was enlightening was that there were many areas nearly equal: Western Europe and Eastern Europe both came in at 19% and Ireland at 16%. The Iberian Peninsula had a strong showing, and even some wildcard entries made an appearance — Finland/Northwest Russia, Scandinavia, European Jewish, Caucasus (think: where Europe meets Asia), Middle Eastern, and North African. Yes, I’m mostly Italian. But my lineage is from Sicily, which has had many influences, from the Romans and Greeks to the Normans and North Africans. Coupled with the regions above, it turns out I’m a very diverse blend of many traditions and cultures. But I’ve also come to realize that the idea of family extends far beyond your blood relatives. There are those people with whom we have no genetic similarities — friends, colleagues, and clients — yet they deserve the same opportunity for warmth and connection typically reserved for relatives. By remembering to put our relationships front and center, we can all be a little bit Italian, at least by my Dad’s definition. Because in the end, my biggest takeaway is this: It’s not where you’re from, it’s what you do with who you are that matters most. And (sorry, Dad) that is what permeates my system. Amy is an infectiously positive communicator who helps companies — as well as career professionals — position themselves for success. In the normal course of business, it’s easy for a gap to open up between your goals and the ways that you are presenting your strengths to the world. Amy identifies these gaps, then erases them.